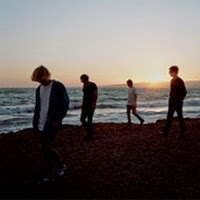 The Charlatans return with a new studio album on January 26th. The album, Modern Nature, is the band's first without drummer Jon Brookes, who died in August 2013 from brain cancer. The Charlatans say they were determined to continue making music to honor Brookes' wishes, because he was adamant there should be another Charlatans record. The band headed into the studio at the beginning of the year and recorded the album utilizing three drummers -- Stephen Morris (New Order/Joy Division), Pete Salisbury (The Verve), and Gabriel Gurnsey (Factory Floor). Two tracks from Modern Nature have premiered so far; "Talking In Tones" and "So Oh," both of which are available to stream below. The album does not yet have a North American release date, however fans interested in obtaining the import can pre-order the standard 11 track album, or deluxe edition (includes four extra tracks) from Piccadilly Records.